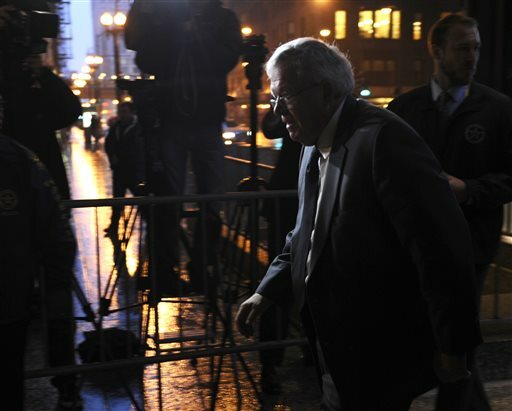 Former House Speaker Dennis Hastert arrives at the federal courthouse Wednesday, Oct. 28, 2015, in Chicago, where he is scheduled to change his plea to guilty in a hush-money case that alleges he agreed to pay someone $3.5 million to hide claims of past misconduct by the Illinois Republican. Former House Speaker Dennis Hastert pleaded guilty Wednesday in federal court in a case involving millions of dollars in hush money to keep secret allegations of misconduct decades ago. A judge set the sentencing for Feb. 29. Federal prosecutors have recommended up to six months in prison as part of a plea deal that allows him to avoid a trial. The judge, however, could sentence Hastert to a maximum of five years and fine him up to $250,000. The former Republican speaker was charged with one count of evading bank rules about currency transactions and one count of lying to federal investigators. NPR&apos;s Cheryl Corley was at the courthouse in Chicago and says the judge asked Hastert if he knew what he was doing was wrong and that he responded, "Yes, sir." 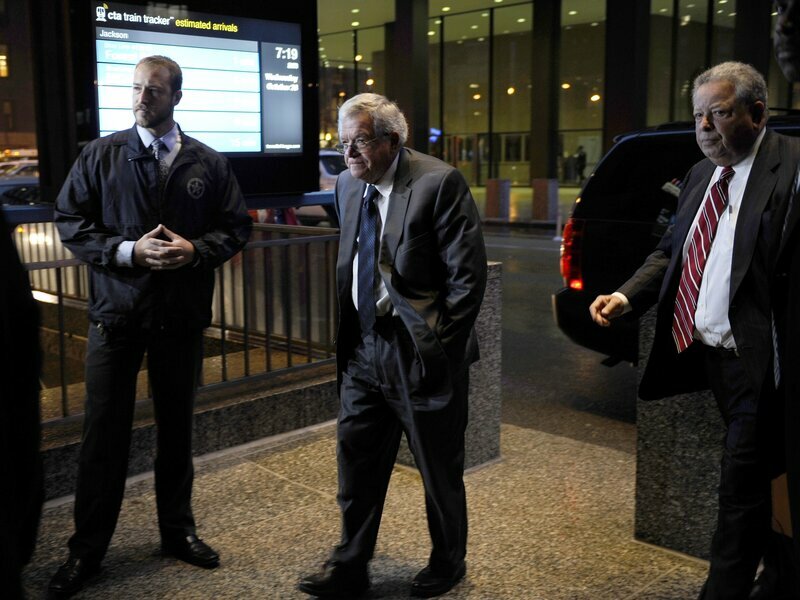 The Chicago Tribune reports Hastert, 73, could also face probation time and that neither the prosecution nor defense anticipates that witnesses will be called at the sentencing. "Hastert read a brief statement saying that he didn&apos;t want officials to know how he intended to spend the money he withdrew. "The hearing got underway about 8:30 a.m. [CT] before U.S. District Judge Thomas Durkin. Hastert was asked a series of questions about his competency to plead guilty and the rights he was giving up by doing so." "I understand, your honor," Hastert said. He said no one was forcing him to plead guilty." The guilty plea represents a dramatic fall from grace for the respected former lawmaker who served as House Speaker for eight years. "Further reporting has revealed that the payments were tied to allegations that Hastert sexually abused Individual A when Hastert was a high school teacher and a wrestling coach."